Let's take a moment to discuss technique. This recipe, along with recipes for muffins and many other baked goods, requires making a "well" with the dry ingredients. You literally make a donut hole in the center of the dry ingredients, and pour the wet mixture in. 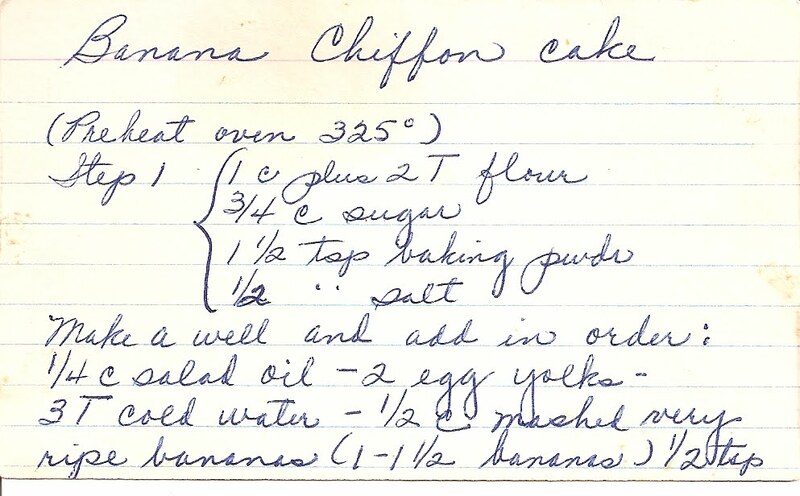 Then, and this is essential, do not over-mix the batter! It's actually better to mix it until lumpy, then walk away and let it sit for 5 minutes. -Mix together dry ingredients and make a well in the center. 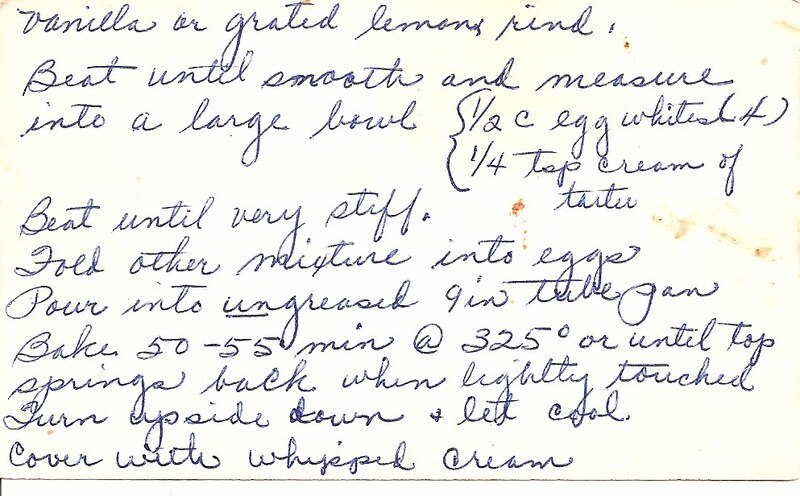 -Add wet ingredients in order, but hold on the egg whites and cream of tarter. Beat until smooth. -Mix egg whites and cream of tarter until stiff. -Fold other mixture into egg whites. -Pour into ungreased 9" tube pan. -Bake at 325 degrees for 50-55 minutes, until it springs back when touched. -Turn upside down and let cool. -Serve covered with whipped cream.